Notice the Sheer Hulk lifting a mizzen mast into what appears to be a 32 gun frigate on the right. There are two ships apparently under construction in the left background. In view of the date, the two-decker in front will be HMS Brunswick (74) and HMS Windsor Castle is behind her. Both ships would be launched the following year. HMS Windsor Castle was a 98 gun, 2nd rate ship of the line of the London Class, built by the Royal Dockyard at Deptford and launched in 1790. The London Class was a group of 4 98 gun ships. The first ship of the class, HMS London had originally been designed by Sir Thomas Slade (more famous now for having designed HMS Victory) and had been launched at the Royal Dockyard, Chatham way back in 1766. HMS London was built as a 90 gun second rate ship. It was the practice of the Royal Navy at the time that second rate ships carried no guns on their quarterdeck and upgrading the design to a 98 gun ship was merely a matter of adding four gunports to each side on the quarterdeck. The second batch of three London Class ships were built from the outset as 98 gun ships while HMS London was fitted with the extra gunports when she recommissioned for the Spanish Armaments Crisis in 1790. The other ships in the second batch of London Class ships were HMS Prince, built at Woolwich Royal Dockyard and launched in 1788 and HMS Impregnable, also built at Deptford Royal Dockyard and launched in 1786. It was the loss of HMS Impregnable in 1799 which started the series of events which led to HMS Victory being saved from being hulked, being rebuilt and recommissioned in 1803. HMS Windsor Castle was ordered by the Navy Board on Monday 19th August 1782. At the time she was ordered, the American War of Independence was still raging. The British had lost control of mainland America when General Lord Cornwallis had surrendered with his army at Yorktown the previous year. French ambitions to drive the British from the Caribbean has been thwarted by Vice-Admiral Sir George Rodney and Vice-Admiral Sir Samuel Hood when they had defeated the Compte de Grasse and his fleet at the battles of The Saintes and Mona Passage in April 1782. A Second Rate ship of the line like HMS Windsor Castle was a huge ship by the standards of the day. Not quite as large as a first rate ship but still large enough to require a vast amount of timber to be cut, transported to the shipyard and steamed and cut to shape. As a result, ships of the size of HMS Windsor Castle took a long time to build. The American War of Independance was ended by the Treaty of Paris which was signed on 11th April 1783. With the end of the war and the inevitable drawdown in the strength of the fleet, the construction of HMS Windsor Castle was no longer a priority. The ships first keel section wasn't laid until 19th August 1784, two years to the day from when she was ordered. Her construction was to have been overseen by Mr Henry Peake, Master Shipwright in the Kings Dockyard at Deptford. Mr Peake was not to see the completion of the ship; he died in office a year into the project. 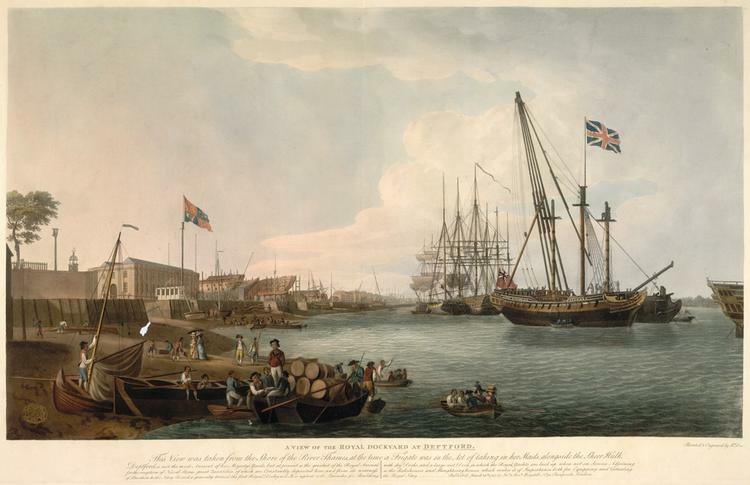 His place at Deptford Royal Dockyard was taken by Mr Martin Ware, previously Master Shipwright at firstly Sheerness Royal Dockyard from 1784 to 1785 and then at the Woolwich Royal Dockyard from 1785 until 1787. HMS Windsor Castle was eventually launched into the great River Thames on Monday 31st May 1790. At the time of her launch, Britain was on the brink of war with Spain. The British had built a trading settlement at Nootka Sound on Vancouver Island, off the west coast of what is now Canada. This was in defiance of a Spanish territorial claim over the entire western coastline of both American continents. With the fleet being mobilised, the construction and commissioning of a major fleet unit like HMS Windsor Castle was once again a priority. Immediately after her launch, HMS Windsor Castle was dry-docked at Deptford and her lower hull was coppered. Her many miles of rigging, her masts and her guns were fitted. The ship commissioned under Captain Sir James Barclay in July 1790. Captain Barclay's previous appointment had been in command of the 50 gun 4th rate ship HMS Leander. By the time the ship was declared complete, she had cost £51,198,8s,6d. On completion, HMS Windsor Castle was a ship of 1,873 tons. She was 177ft 6in long on her upper gundeck and 145ft 8in long at her keel. She was 49ft 2in wide across her beams. Her hold (the space between the orlop and the ships bottom) was 21ft deep. She drew 14ft of water at the bow and 18ft 2in at the rudder. HMS Windsor Castle was armed with 28 32pdr long guns on her lower gundeck, 30 18pdr long guns on her middle gundeck, 30 12pdr long guns on her upper gundeck. She also carried 8 12pdr long guns on her quarterdeck with two more on her forecastle. In addition, the ship also carried a pair of 32pdr carronades on her forecastle and 6 18pdr carronades on her poop deck. The ship also carried about 20 half-pounder swivel guns attached to the handrails on her upper decks and in her fighting tops. HMS Windsor Castle was manned by a crew of 738 officers, men, boys and Royal Marines. The ship was assigned to be flagship of Rear-Admiral Herbert Sawyer. Inboard Profile and Plan. If you look carefully, you can see the alterations from the original draft of HMS London with the modifications to bring the design up to date and to up-gun the ship from 90 to 98 guns. Sheer plan and lines. Again, the alterations to the original draft of HMS London are visible. A closer look at the alterations to the draft of HMS London. This shows where the gunports are to be added. The Spanish Armaments Crisis was eventually settled peacefully. The Spanish had approached the new Revolutionary government in France and asked for an alliance against the British should the shooting start. The National Convention had enough on it's plate without the prospect of an expensive and protracted war against the old enemy across the Channel. When the French refused to become involved, Spain was forced to negotiate and a settlement was reached whereby the British would be allowed to continue to develop their settlement at Nootka Sound as long as they recognised overall Spanish sovereignty. With the crisis over, HMS Windsor Castle paid off at Deptford. When the American War of Independence ended in 1783, France was bankrupt. The hardships caused by this caused the French people to rise up and end the absolute power enjoyed by the Kings of France for centuries. King Louis XVI was forced to accept a Constitutional Monarchy where his power was limited by the National Convention. This led to a power struggle between the King and his allies and the Convention which brought France to the brink of all-out civil war. The National Convention came under the control of militants and arch-republicans and in December 1792, the Monarchy was abolished. Up to that point, the French Revolution had enjoyed a measure of support in Britain as it was hoped that the limitation of the power of the King of France by an elected body would bring about a lasting peace. The abolition of the Monarchy set alarm bells ringing across the Channel and the British began to hurriedly mobilise their Fleet. Following her decommissioning at the end of the Spanish Armaments Crisis, HMS Windsor Castle had been left fitted for sea, so that when the call came, the ship was able to be recommissioned almost immediately. A month after the French Monarchy was abolished, the King and Queen were executed and the month after that, in February 1793, France declared war on Great Britain. The French Revolutionary War had begun. HMS Windsor Castle commissioned at Deptford under Captain Sir Thomas Byard. Captain Byard had plenty of experience in commanding large ships. He first held a command in 1782, the 8 gun fireship HMS Spitfire. After that, all the ships he had commanded had been large, three-decked ships of the line. He was the last commander of the first rate ship HMS Victory before she was paid off into the Ordinary at the end of the American War of Independence. After that, he had commanded HMS Windsor Castle's sister-ship HMS Impregnable and HMS St George, also of 98 guns before his appointment to command HMS Winsdor Castle. The ship was assigned to be flagship to Vice-Admiral Phillips Cosby. The ship was initially assigned to the Channel Fleet and was sent from Deptford to join the rest of the fleet at Spithead following the French declaration of war. On the declaration of war, the French had assembled a powerful fleet in Toulon. The British at the time did not have a formal, standing, Mediterranean Fleet, so one was assembled in a hurry. Ships were dispatched as they became available, in a number of divisions. The first division, under Rear-Admiral John Gell comprised 2 ships of the line, one of 98 guns and one of 74 guns. The second division, of which HMS Windsor Castle was the flagship, comprised another 98 gun ship, three ships of 74 guns and two frigates, sailed from Spithead on 15th April. The third division, led by Vice-Admiral William Hotham in the 100 gun first rate ship HMS Britannia also comprised a further three 74 gun ships and one of 64 guns. The fourth and final division was led by the Fleet Admiral, Vice-Admiral Sir Samuel, the Lord Hood in the 100 gun first rate ship HMS Victory and also comprised a further five 74 gun ships, another of 64 guns, five frigates and sloops, two fireships and two hospital ships. By the time Lord Hood took command of his force and began a close blockade of the enemy in Toulon in August of 1793, his fleet comprised of 21 ships of the line, including two 100-gun first rate ships and three second rate ships of 98 guns, one of which was HMS Windsor Castle. In addition to these, there were 12 third rate ships of 74 guns and four of 64 guns. One of the 64 gun ships was HMS Agamemnon, commanded by a young captain called Horatio Nelson who had yet to achieve his great fame. The fleet flagship was one of the 100 gun ships, HMS Victory. Ranged against them, bottled up in Toulon was a French force of which 17 ships were ready for sea, the enormous 120 gun ship Commerce de Marseilles, one ship of 80 guns and 15 of 74 guns. In addition to these, there was the 120 gun Dauphin Royale plus one ship of 80 guns and two of 74 guns refitting and a further two ships of 80 guns and seven of 74 guns either under repair or requiring repairs before they could put to sea. This force was under the command of Rear-Admiral the Compte de Trogoff, a staunch monarchist who was not about to take up arms for the Republican usurpers and regicides in Paris. This view was shared by most of the people living in the area and their main fear was what would happen when the republicans came to take over. It was no suprise therefore when two representatives from Toulon arrived aboard Lord Hood's flagship HMS Victory intending to make a treaty with the British force blockading their city. Their long-term aim was to start a counter-revolution and re-establish the Monarchy in France. To this end, Royalist insurrections occurred in the French cities of Lyons, Avignon, Marseilles and Nimes. In these, French Royalist forces took control of those cities. In Toulon, the main French arsenal and naval base on the Mediterranean coast, the Royalists under Baron d'Imbert took control of the city. When news reached Toulon that revolutionary forces had retaken Marseilles and of the savage reprisals there, Baron d'Imbert appealed for help from the British and Spanish fleets blockading the port. In August 1793, Lord Hood and his Spanish counterpart, Admiral Juan de Langara committed a total of 13,000 British, Spanish, Neopolitan and Piedmontese troops to the French Royalist cause. On 18th September, an enormous armada of 37 British, 32 Spanish and 5 Neopolitan ships of the line, including HMS Windsor Castle entered the harbour at Toulon and took possession of the city. On 1st October, Baron d'Imbert proclaimed the 8-year old Prince Louis-Charles, son of the dead king, to be King Louis XVII and raised the Royalist flag over the city. As more Republican troops poured into the area, the British and their allies found it increasingly difficult to hold the fortifictions surrounding the city. What the British didn't know was that the French artillery was being organised by a brilliant young captain of Artillery hailing from Corsica who had friends in high places in the Revolutionary Government. His name was Napoleon Bonaparte. 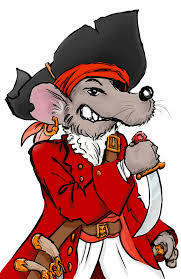 He came up with a plan to attack a weak point in the defenses and isolate the harbour from the city. After reducing the defenses between September and 16th December, the French Republican forces entered the city, forcing the British and their allies to evacuate or face capture. Any French warships not ready for sea were burned. HMS Windsor Castle and her crew played a small part in the Toulon Campaign, manning defenses ashore, but it ended up all being for nothing. When the Republican forces entered the city on 19th December, they massacred many of the remaining defenders, shooting or bayonetting up to 2,000 prisoners-of-war on the Champ de Mars. For his role in the retaking of Toulon, Bonaparte was promoted to Brigadier-General by a grateful National Convention. The first major campaign of the war had been a defeat for the British. Hood and his fleet, including HMS Windsor Castle withdrew and continued their blockade of Toulon. In April 1794, there was a change of personnel at the top in HMS Windsor Castle. Captain Byard was appointed to command HMS Alcide (74) and was replaced by Captain Edward Cook. Also, the ship became flagship to Rear-Admiral Robert Linzee. Vice-Admiral Cosby had moved his command flag to HMS Alcide and had taken Captain Byard with him. The Republicans now in control of Toulon set to work taking over the remaining ships of the Toulon Fleet, after the British had taken the ships in best condition with them as they withdrew. By 5th June 1794, most of the French ships were ready for sea and on that day, a force of seven ships of the line and four or five frigates broke out and headed into the Mediterranean Sea. Lord Hood at the time was off Bastia in North-East Corsica with a force of 13 ships of the line which included HMS Windsor Castle. As soon as he heard the news of the French breakout, Lord Hood immediately ordered his fleet to head towards Toulon in hopes of intercepting the enemy. The enemy force consisted of the Dauphin Royale, now renamed to Sans Culotte (120), Couronne, now renamed to Bonnet Rouge (80), Tonnant (80), Censeur, Duquesne, Genereux and Heureux (all of 74 guns). Lord Hood's force, in addition to his flagship HMS Victory (100) and HMS Windsor Castle, also comprised HMS Britannia (100), HMS St George (98), HMS Princess Royal (98) and the 74 gun ships HMS Alcide, HMS Terrible, HMS Egmont, HMS Bedford, HMS Captain, HMS Fortitude, HMS Illustrious and HMS Berwick. Hood also had the frigates HMS Romulus (36), HMS Juno (32), HMS Meleager (32) and HMS Dido (28). In October 1794, Captain Cook was replaced in command of HMS Windsor Castle by Captain William Shield. Captain Shield's previous appointment had been in command of HMS Berwick. His appointment instantly proved to be very unpopular amongst the crew of the ship. In early November, Lord Hood returned to the UK in HMS Victory, leaving Vice-Admiral Hotham in command of the fleet in HMS Britannia. On 10th November 1794, HMS Windsor Castle was lying in San Fiorenzo Bay, Corsica, when her crew became so disillusioned with their new Captain that they refused to obey him and mutinied. This was a serious matter. HMS Windsor Castle was after all, a large and massively powerful warship and a key part of the fleet. The mutineers demanded that Rear-Admiral Linzee, Captain Shield, the ships First Lieutenant and the ships Boatswain all be replaced. Vice-Admiral Hotham had no wish to send in the fleet's marines to storm the ship and end the mutiny by force. He was, after all, newly appointed and it would have done Hotham's career no good at all if one of the first things he did on becoming Commander-in-Chief was to have a massacre aboard one of his biggest ships. It was, he decided, best to try to resolve matters by negotiating with the mutineers. To that end, the Vice-Admiral went aboard HMS Windsor Castle in person, with Rear-Admiral Sir Hyde Parker and several of the other Captains in order to try to pursuade the men to return to duty. The men refused point blank to do so until their demands were met. Captain Shield demanded a Court-Martial in order that his conduct in command of the ship be thoroughly investigated. The Court-Martial was duly held and Captain Shield was acquitted of any misconduct. Given that the situation was no nearer to being resolved, other than to send in the Marines to end the mutiny by force, Vice-Admiral Hotham had no alternative but to give in to the men's demands. Although Rear-Admiral Linzee remained in HMS Windsor Castle, Captain Shield, the First Lieutenant and the Boatswain were all replaced. As a gesture of goodwill, Hotham also pardoned the mutineers. At the end of November 1794, Mr John Gore, Master and Commander in the 14 gun brig-sloop HMS Fleche was promoted to Captain and given command of HMS Windsor Castle. Things remained quiet until January 1795, when the fleet was still at anchor in San Fiorenzo Bay. HMS Berwick was undergoing a refit and her topmasts had all been removed and the lower masts had all been stripped of their rigging. A recent gale had left a heavy swell running into the bay, which on 5th January, caused HMS Berwick's lower masts to fall over the side of the ship. Immediately afterward, that ship's Captain, First Lieutenant and Sailing Master all faced a Court Martial where they were found to be at fault for not ensuring that the masts were properly secured. All three men were dismissed their ship and sent home to the UK. Vice-Admiral Hotham ordered Captain Adam Littlejohn to take command of HMS Berwick and get her ready for sea under a jury rig as soon as possible while he took the rest of the fleet to Leghorn (Livorno in modern day Italy). Captain Littlejohn was to follow the fleet to Leghorn as soon as he was able to. Intelligence about the French fleet and it's likely destination reached Vice-Admiral Hotham on 8th March. The following day, the British headed off to intercept. The brig HMS Tarleton was sent to inform HMS Berwick of what was going on and on the 10th, returned to the fleet with the news of HMS Berwick's capture. Also on the 10th March, the scouting frigates spotted the French fleet and the following day, they were spotted by the rest of the fleet at a range of about 5 miles. The British shadowed the French and on seeing that the French didn't seem interested in a fight, Vice-Admiral Hotham made the signal for a general chase and the fleet formed a line of battle. Seeing the British forming a line of battle, the French bore away. Things continued in this way, with the British in full pursuit of the French until the night of the 12th March, when the weather deteriorated. In the poor weather, the French 74 gun ship Mercure lost her main-topmast and received permission to break from the rest of the fleet, accompanied by a frigate. The Mercure eventually made it back to Toulon after meeting up with the ex-HMS Berwick in Gourjean Bay. In the morning of the 13th, the French 80 gun ship Ca-Ira collided with another French 80 gun ship, the Victoire. As a result of the collision, the Ca-Ira lost her fore and main-topmasts. In the confusion, the British 18pdr armed 36 gun frigate HMS Inconstant attacked. HMS Inconstant, under Captain Thomas Fremantle came up on the Ca-Ira'a port-side quarter and opened fire. The French frigate Vestale came up in support of the crippled Ca-Ira and opened fire on HMS Inconstant. Fremantle's ship then went about and sailed downwind of Ca-Ira, firing in a full broadside as she passed. The French ship's crew had by now cleared away the wreckage of their topmasts and returned fire on the British frigate, damaging her. While Fremantle's ship fell away from the wind, Captain Nelson in HMS Agamemnon got stuck into the Ca-Ira, as did the 74 gun ship HMS Captain. The action now developed into a general melee, as more ships from both fleets arrived on the scene and began to engage each other. The action ended with the coming of nightfall. Ca-Ira had been severely damaged by HMS Agamemnon and HMS Captain and had suffered heavy casualties. The British ships HMS Egmont (74) and HMS Bedford (74) had exchanged fire with the Sans Culottes and the Timoleon (74), damaging both enemy ships. By daylight the next day, the Sans Culottes had lost contact with the rest of the fleet and took no further part in the action. The Ca-Ira had been taken in tow by the Censeur (74) and both these ships had fallen some way behind the rest of the fleet. The action resumed at daylight when a squadron of the French fleet became involved in a heavy exchange of fire with HMS Courageux (74) and HMS Illustrious. HMS Illustrious lost her fore-topmast, her main and mizzen masts and was badly damaged before a change in the wind allowed the French to escape. As soon as they saw the rest of their fleet sailing away, the Ca-Ira and the Censeur both surrendered. Vice-Admiral Hotham concluded that his vanguard was too badly damaged and was in no condition to continue the pursuit and besides that, his fleet had captured two very fine French ships of the line. The first fleet action between the British and the French in the Mediterranean Sea in the French Revolutionary War had seen Hotham and his fleet emerge victorious. In what is now known as the Battle of Genoa, HMS Windsor Castle had unleashed her massive artillery at the enemy in anger for the first time and her crew suffered casualties of six seamen killed and Lieutenant Thomas Hawker together with 30 seamen and Marines wounded. On 7th June 1795, the French Toulon fleet under Vice-Admiral Martin put to sea with 17 ships of the line and on 14th June, Hotham's fleet was reinforced by the return of HMS Victory, flying the command flag of Rear-Admiral Robert Man. The fleet continued it's cruise until 29th June, when they anchored in San Fiorenzo Bay. HMS Windsor Castle did not get to engage the enemy in the Action off Hyeres. In a tragic post-script to the Action, some 15 minutes after her surrender, the Alcide caught fire and within half an hour was ablaze from stem to stern. The boats of the nearest British ships managed to get about half her crew of 615 men off before the ship was destroyed by a huge explosion which occurred about 90 minutes after the fire broke out and which killed the all the men still aboard. After the action, the French once again returned to Toulon while Hotham took his fleet, firstly back to San Fiorenzo Bay and then back to Leghorn. On 6th August, Hotham took the fleet to sea and patrolled off Toulon, where the French fleet was seen to be safely at anchor. The British then moved off to the east and continued their cruise. In the meantime, there was a change in personnel at the top in HMS Windsor Castle. Captain Gore was appointed to command the captured Censeur, jury rigged and with her guns removed. Admiral Hotham had decided that the Censeur was too badly damaged to be repaired properly by her crew and needed the attention of a dockyard back home. Gore was appointed to take the ship back to the UK. Captain Gore's replacement in HMS Windsor Castle was Captain Edward O'Bryen. Captain O'Bryen's previous appointment had been in command of the 12pdr armed 32 gun frigate HMS Southampton. Rear Admiral Linzee shifted his command flag to HMS Victory and Rear-Admiral Man moved from HMS Victory to HMS Windsor Castle. On 14th September 1795, a force under the French Rear-Admiral Richery broke out of Toulon. Richery's force comprised the 80 gun ship Le Victoire, the 74 gun ships Barras, Jupiter, Resolution, Duquesne and the ex-HMS Berwick, together with three large frigates. On 22nd September, news reached Hotham of the French move and on 5th October, Rear-Admiral Man in HMS Windsor Castle with the rest of his squadron comprising HMS Cumberland, HMS Defence (74), HMS Terrible (74), HMS Audacious (74), HMS Saturn (74) plus the 18pdr armed 38 gun frigate HMS Blonde and the 12pdr armed 32 gun frigate HMS Castor were sent in pursuit. They were too late. On 7th October, off Cape St Vincent, Richery's force ran into a convoy which, amongst other ships, included HMS Censeur, which was recaptured by the French. HMS Windsor Castle's career was uneventful from then until 1799, when she was returned to the UK and entered a refit at Plymouth. On 8th July 1799, HMS Windsor Castle recommissioned into the Channel Fleet under Captain John Manley. He remained in command until September, when he was replaced by Captain John Chambers White, who in turn was replaced by Captain Albermarle Bertie in November 1799. In early May 1800, HMS Windsor Castle was damaged in a severe storm off Brest. The ship had been lying to under storm staysails when a sudden shift in the wind threw her onto her side. Although the ship quickly righted herself, she lost her main yard and some of the gunports on her middle gundeck were stoved in. On 20th May 1800, the ship arrived at Plymouth to have the damage repaired. Following the repair of the damage, HMS Windsor Castle remained with the Channel Fleet and had an uneventful time until the summer of 1805. By this time, Horatio Nelson, last seen in our story as a young captain in command of the 64 gun third rate ship of the line HMS Agamemnon, was now a Vice-Admiral, a Viscount of the Realm and was Commander-in-Chief, Mediterranean Fleet, flying his command flag in the now-rebuilt and as-new 104 gun first rate ship HMS Victory. After amazing victories against the enemy at the Battles of the Nile and Copenhagen, Nelson was the nation's hero. Nelson had taken his fleet and pursued the French Vice-Admiral Villeneuve out of the Mediterranean to the Caribbean Sea, around the Caribbean and back across the Atlantic Ocean. It was known at the time, that Villeneuve was a decoy, intended by Napoleon to distract Nelson away from the Mediterranean and that Villeneuve was intended to join up with the Spanish Fleet from Cadiz and the French Brest Fleet and the Combined Fleet would then be able to overwhelm Lord Cornwallis' Channel Fleet with weight of numbers and control the English Channel for long enough for the French to get their 83,000 strong invasion army, encamped around Bolougne across the Channel and mount an invasion of Britain. On 19th February 1805, HMS Windsor Castle was operating as a private ship, with no flag-officer aboard and was under the command of Captain Charles Boyles. She was part of a squadron commanded by Vice-Admiral Sir Robert Calder, flying his command flag in the 98 gun second rate ship of the line HMS Prince of Wales. The squadron was sent to blockade Ferrol, where about 10 French and Spanish ships of the line were bottled up. 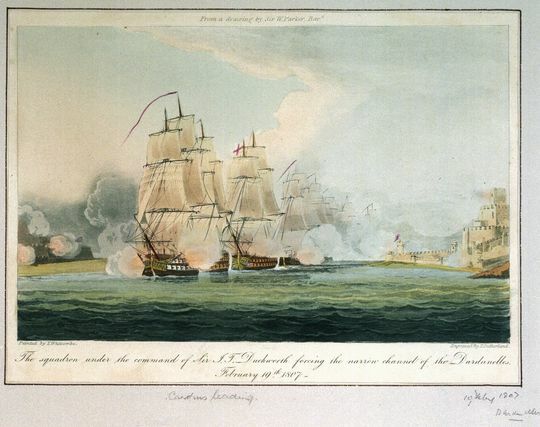 By 15th July 1805, Calders force had been reinforced to the point where it now comprised the 98 gun ships HMS Prince of Wales, HMS Glory, HMS Barfleur and HMS Windsor Castle, the 80 gun ship HMS Malta, the 74 gun ships HMS Thunderer, HMS Hero, HMS Repulse, HMS Defiance, HMS Ajax, HMS Warrior, HMS Dragon and HMS Triumph, the 64 gun ships HMS Agamemnon and HMS Raisonnable. By now, the British had received intelligence that Villeneuve's force was heading towards Europe and they also had a good idea why. Villeneuve had to be stopped and so Sir Robert Calder was ordered to lift his blockade of Ferrol and head towards Cape Finisterre in hopes of intercepting the Franco-Spanish force. The two forces sighted each other at about 11am on 22nd July. At noon, Calder made the signal to prepare for battle and a few moments later, to form into two columns and to form lines of battle. At 13:15, the order was given to close formation. HMS Windsor Castle was 6th in the British line, behind HMS Agamemnon and ahead of HMS Defiance. The enemy fleet also formed a line of battle. In poor visibility, the two fleets manoeuvred for advantage until about 17:15, when the action began in earnest. With the fog and gun-smoke, the action quickly became a confused melee in which several individual ships on both sides found themselves surrounded and outgunned by the enemy. HMS Malta was the most heavily engaged of the British ships, at one point in the battle, she was engaged against no less than five enemy ships, of which she forced two, the San Rafael (80) and the Firme (74) to surrender. HMS Windsor Castle was also heavily engaged against superior numbers of enemy ships and suffered severe damage to her masts and rigging. By the time Sir Robert Calder signalled to discontinue the action at 20:15, HMS Windsor Castle had lost her fore-topmast, her fore-yard, her main-yard and her remaining sails were cut to ribbons. She had suffered casualties of 10 dead and 35 wounded. The aftermath of the Battle of Cape Finisterre. HMS Windsor Castle is the damaged ship under tow in the left foreground. The ship towing her is HMS Dragon (74). Painted by William Anderson. Calders original intention had been to resume the action at daybreak, but when dawn the next day found the fleets too far apart to re-engage. After the battle, the Combined Fleet ended up in Cadiz, where they were to stay until October. When they left Cadiz, they were engaged and defeated by Nelson at the Battle of Trafalgar. HMS Windsor Castle's crew made running repairs to their ship and enabled her to sail to Cawsand Bay, where they refitted and repaired their ship. In September 1806, HMS Windsor Castle was part of a squadron commanded by Commodore Sir Samuel Hood, engaged in the blockade of Rochefort. Hood, the younger cousin of the more famous Samuel, Lord Hood, was flying his command Broad Pendant in HMS Centaur (74). Another of Hood's ships, HMS Monarch (74) sighted 7 strange sails and was ordered by the flagship to give chase. The strangers were quicky identified as being a French squadron of five heavy frigates, four of which carried 40 or more guns. HMS Monarch quickly bore up to the first of the French ships, the 40 gun frigate Armide. HMS Monarch opened fire with her bow guns. BY 10am, HMS Monarch was within range of the entire French force and engaged the French frigates Armide, Gloire (44) and Minerve (36). The three French frigates assumed positions where they could offer mutually supporting fire and a very heavy exchange of fire then ensued between HMS Monarch and the three French frigates. HMS Monarch was at a significant disadvantage because the state of the sea was such that she could not open her lower gundeck gunports. She was being outgunned by the French and was suffering damage as a result. 20 minutes into the firefight, she was virtually unmanageable, such was the damage to her spars and rigging. Luckily, by this time, HMS Centaur had closed the range sufficiently to engage the Gloire and the Armide, leaving HMS Monarch to deal with the Minerve. At 11:45, Armide surrendered to HMS Centaur and Minerve surrendered to HMS Monarch shortly afterward. Unfortunately, HMS Windsor Castle was only a spectator to the Action off Rochefort. By the end of 1806, the French were working to drive a wedge between British ally Russia and their neighbours Turkey, with the intention of closing the Dardanelles, thus closing the trade route into the Black Sea. France had threatened to declare war on Turkey if they did not comply with French demands to close the Dardanelles. By this time, HMS Windsor Castle had been redeployed back to the Mediterranean. On 22nd October, the Admiralty ordered Vice-Admiral the Lord Collingwood to send a force to carry out a reconnaisance of the Turkish forts along the Dardanelles should an attack on them be required at some later date. Collingwood detached Rear-Admiral Sir Thomas Louis in his flagship, the ex-French 80 gun third rate ship of the line HMS Canopus, in addition to the 74 gun ship HMS Thunderer and the 64 gun ship HMS Standard, the 40 gun frigate HMS Endymion and the 18 gun ship-sloop HMS Nautilus. Sir Thomas Louis' force detached from the main body of the fleet off Toulon on 5th December 1806. The squadron called in at Malta and resupplied, leaving the harbour at Valetta on 15th December and arrived at the island of Tenedos, situated some 14 miles to the south of the entrance to the Dardanelles on 21st December. After waiting for pilots and for favourable winds, the squadron left Tenedos in the early hours of 27th December and anchored in Azire Bay at the entrance to the Dardanelles later that day. In the meantime, Britain had opened negotiations with the Turks in an attempt to prevent them from caving in to French pressure to close the Dardanelles. After all, the British had enough on their plates already. Britain by this time was at war with France, Spain and Holland and trouble was brewing with Denmark as well. The last thing they wanted was a war with the Ottoman Empire, which would surely be triggered if the British kept the Dardanelles open by force. On 4th January 1806, the Russian Ambassador came aboard the 18 pdr armed 38 gun frigate HMS Active and the ship carried he and his staff to Malta. On 31st January, HMS Enydmion rejoined the squadron in Azire Bay after having evacuated the British Ambassador in Constantinople and the whole of the British merchant community from that city. The ship had left the city in a hurry, having cut her anchor cable and set sail in the middle of the night on the 28th. The reason for the hurry was that news had reached the British Ambassador that the Turkish plan for preventing British aggression over the closure of the Dardanelles involved abducting the Ambassador, all his staff and the entire British community in Constantinople and holding them hostage. Should the British attack Turkish fortifications along the Dardanelles the Turks threatened, all the hostages would be tortured to death. In addition, intelligence had reached the Ambassador that the Turks were planning to seize HMS Endymion, which was in the port at the time, with Rear-Admiral Louis aboard. Such was the value that the British placed on this intelligence that the Rear-Admiral ordered the ship to leave immediately. Having rejoined the squadron and shifted his command flag back to HMS Canopus, the Louis ordered that the squadron withdraw back to Tenedos on 1st February. Meanwhile, in anticipation of the failure of negotiations with the Turks, the Admiralty ordered Lord Collingwood to detach a further force of ships of the line to be commanded by Vice-Admiral Sir John Thomas Duckworth, flying his command flag in the 100 gun first rate ships of the line HMS Royal George, who was to join with Louis, now promoted to Vice-Admiral and take command of operations in the Dardanelles. Duckworth's orders were that in the event of the failure of the negotiations with the Turks, that he was to demand that the Turks hand over their entire fleet, comprising 12 ships of the line and nine frigates to the British. If they refused, Duckworth's force was to bombard Constantinople until the Turks complied. In addition Vice-Admiral Louis' squadron, Duckworth's force was also to consist of his flagship, HMS Windsor Castle, the 74 gun third rate ships of the line HMS Repulse, HMS Ajax, the ex-French HMS Pompee and the bomb vessels HMS Lucifer and HMS Meteor. On 30th January 1806, Duckworth's force arrived in Malta and he dispatched HMS Active to carry his orders for Vice-Admiral Louis off Tenedos. Duckworth's force joined that of Louis at Tenedos on 10th February. After receiving Louis' report on the state of the Turkish defences along the Dardanelles. Duckworth was relieved to learn that his task of forcing his way through to Constantinople didn't appear to be as difficult as he had feared. The majority of the forts were delapidated and the bulk of the Turkish fleet at Constantinople was laid up inthe ordinary, but preparing for sea. The exception to this was one Turkish 64 gun ship and four frigates, which were ready for sea. Duckworth also learned that the Turkish forts were in the process of being upgraded and restored by French engineers, so he realised that it was only a matter of time before his mission became unrealistic. On the night of 14th February, disaster struck Duckworth's force when a serious fire broke out aboard HMS Ajax. In the darkness and thick smoke, her crew were unable to launch the boats or fight the fire effectively. At 5am on 15th, the ship blew up. Out of the 633 people aboard, 250 died. At 7am on 19th February, Duckworth's force including HMS Windsor Castle weighed anchor and headed for the Dardanelles. At 8am, the lead British ship, HMS Canopus drew abreast of the first of the Turkish forts which opened fire. The British did not return fire, with the exception of the two bomb vessels, which fired their mortars into the forts. At 9:30 am, the leading British ships drew abreast of the next set of fortifications, which opened fire at pistol-shot range, about 30 yards. This time, the British did return fire. The British now came up to those Turkish ships which were ready for sea, a 64 gun ship of the line, a frigate of 40 guns, two frigates of 36 guns each and one of 32 guns. In addition to these ships, there were four corvettes, one of 22 guns, one of 18 guns and two of ten guns each as well as two armed brigs and two gunboats. One of the brigs immediately set sail and headed towards Constantinople. As soon as the British squadron drew up, the Turkish ships opened fire, which was returned by the British. After returning fire, the lead British ships, HMS Royal George, HMS Windsor castle, HMS Canopus and HMS Repulse sailed on to an anchorage three miles further up, while HMS Pompee, HMS Thunderer and HMS Standard with the frigates ran in and anchored within a musket shot of the Turkish ships and commenced a heavy fire on them. The Turkish ships cut their anchor cables in an attempt to escape, but all the ships, with the exception of one of the frigates, a corvette and a gun-boat, ran aground. The corvette and the gunboat were captured but the frigate evaded the British and stood out for the European side of the channel. HMS Active was ordered to give chase and weighed anchor and set off after the Turkish frigate, which was deliberately run aground by her crew and then burned by the British. Once the destruction of the Turkish squadron was complete, the men of the ships set to driving off the defenders of the fortifications ashore and destroying the gun emplacements. HMS Active was left with the two prizes and a division of men from HMS Pompee, who completed the destruction of the batteries ashore while the rest of the ships followed the squadron up the Dardanelles, past Gallipoli into the Sea of Marmora towards Constantinople. On 20th February, the rest of the squadron arrived off Constantinople. Everyone in the squadron assumed that their task would then be to wait at anchor until they heard word about the outcome of the negotiations. In fact, Duckworth already knew that with the British community evacuated from Constantinople, thus depriving the Turks of all their aces, and with combat already having taken place between his ships and the Turks, the outcome of the negotiations was irrelevant and that he was now free to do as he pleased. In fact, Sir John Duckworth had decided to err on the side of caution and preferred to consult with the British Ambassador, Sir John Arbuthnot. In fact, the Turks were continuing their preparations for war, something which had not gone un-noticed by Duckworth. On 22nd, Arbuthnot fell ill and his health deteriorated rapidly, leaving the whole responsibility for the negotiations and command of the naval operation on Sir John Duckworth's shoulders. Duckworth did not want to be the one to start the war, so on 28th March he decided that his ships would weigh anchor and cruise off Constantinople and try to provoke the Turks into attacking him. When they failed to do he decided to head with his ships back down the Dardanelles to Tenedos. The British ships were fired upon by the Turkish batteries as they passed down the channel, with HMS Canopus leading. All of the British ships received damage and took casualties. HMS Windsor Castle was hit by an 800lb stone shot which badly damaged her main mast. The ship suffered 3 seamen killed and a petty officer and 12 seamen wounded during the withdrawal from Constantinople. The expedition to Constantinople was regarded as a failure, but Sir John Duckworth's reputation was saved by the fact that several of his ships were hit by the same huge sized shot which had struck HMS Windsor Castle and that in the light of the fact that the Turks clearly had guns which would fire shot that size, any attempt to force the Dardanelles was bound to end in failure. HMS Windsor Castle remained in the Mediterranean until 1808, when she returned to the UK. By this time, the navies of Britain's enemies were defeated and exhausted. The Royal Navy simply did not need as many large ships of the line, so big ships like HMS Windsor Castle became surplus to requirements. HMS Windsor Castle paid off at Plymouth in September 1808. In November, the ship entered the Ordinary at Plymouth, her guns, masts and rigging all removed, a roof built over her upper decks and manned by a skeleton crew comprising of a few core craftsmen and their respective servants. The ship remained at her mooring until October 1813, when she was taken into the Royal Dockyard at Plymouth. The reason for this was that war had broken out with the United States of America and the British had become aware that both France and Spain were in the process of either building or planning new battle fleets which would take advantage of the latest technology. The British needed to keep up and in addition to this, the average age of a ship of the line in the Royal Navy was increasing and although new ships were being built in large numbers, it was not enough. HMS Windsor Castle had been chosen to be cut down or 'Razeed' from a 98 gun second rate ship with three gundecks, into a large 74 gun third rate ship with 2. What emerged from the refit in June of 1814 was an extraordinarily powerful ship. More powerful, in fact, than when the work commenced, despite having had a complete gundeck removed. On completion of the work, HMS Windsor Castle was armed with 26 32pdr long guns and 2 68pdr carronades on her lower gundeck, 28 24pdr long guns and 2 68 pdr carronades on her upper gundeck, 4 24pdr long guns and 10 32pdr carronades on her quarterdeck and 2 24pdr long guns and 2 32pdr carronades on her forecastle. Her total weight of broadside after the work was heavier than it was before. When complete, the work had cost £47,725. Unfortunately, by the time the work was complete, the war was over. The war had been ended by the Treaty of Fontainebleau, signed on 11th April 1814. For this reason, HMS Windsor Castle did not commission until January 1819, when she commissioned as Guardship at Plymouth. On 6th October 1822, she broke free from her mooring and almost ran aground on the Oyster Bank off Plymouth. The ship was finally fitted for sea in December 1826 and spent time at Lisbon and was in the Mediterranean from 1828 to 1830. In June 1831, she paid off again. Between 1834 and 1838, she was Depot Ship at Deal and was broken up at Pembroke Dockyard in May 1839.